0 ranch(es) in your saddle bag. View Saddle Bag / What's This? "Add to Your Saddle Bag" is a way for you to store your favorite ranches. When you find a ranch you like on the website, Add it to your Saddle Bag and it will be added to your favorites list. 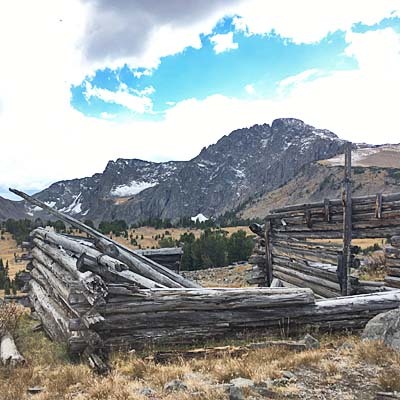 You can compare ranches side-by-side by adding more than one ranch, request more information about our dude ranches, and more. Try it out! Are You Game for a Unique Ride in the Wilderness? 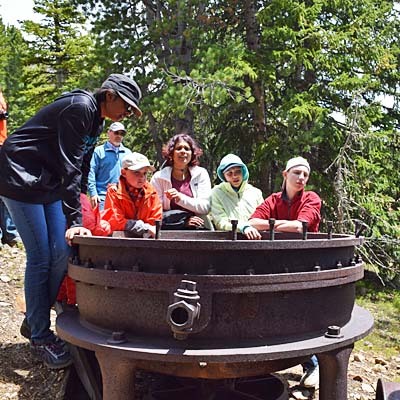 Have you ever thought of taking a wild ride into a mountainous wilderness? 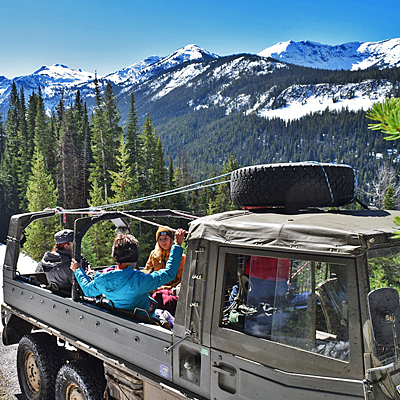 Our Pinzgauer, an Austrian military vehicle, has provided many people with such an adventure. 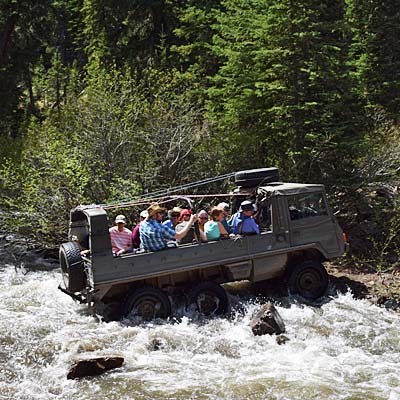 Our guests here at Hawley Mountain Guest Ranch have a hard time believing that the Pinzgauer can travel on some of the very difficult terrain it encounters. 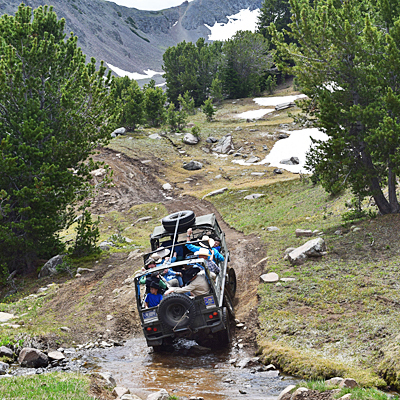 Crossing creeks, driving over huge boulders, and climbing up steep, narrow, and rocky roads doesn’t faze this vehicle in any way. As we travel to the end of the primitive road, visitors will be met with breathtaking views of the surrounding mountains. 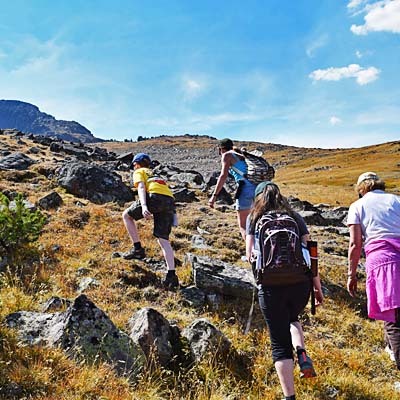 Once we reach our destination nestled in the Absaroka-Beartooth Wilderness, guests decide if they are going to meet the challenge of a climb to the top of Monument Peak or rather take the opportunity to enjoy a picnic, an easy-going hike, or an afternoon of fishing around the beautiful glacier lake. 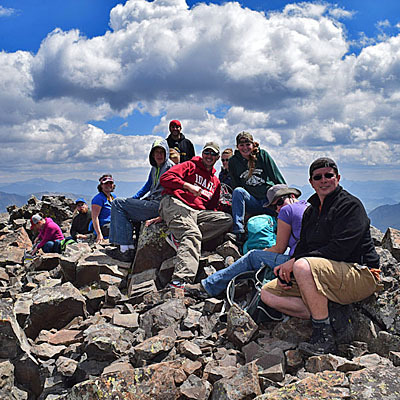 The altitude of Monument Peak is almost 11,000 feet; that hike is not for the faint of heart. 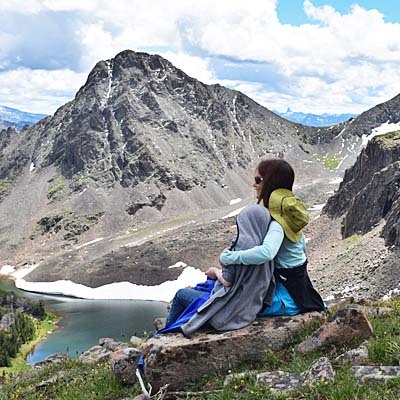 Those who reach the top of the mountain, however, are exhilarated by the magnificent beauty they experience when feeling like they are on the top of the world! 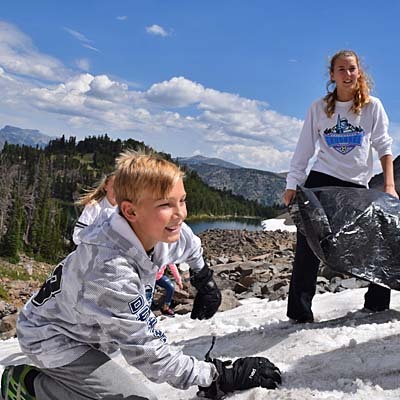 Some prefer to simply relax by Blue Lake with a picnic lunch, go sledding on the snowy slopes in the middle of the summer, or take time to appreciate their beautiful surroundings. 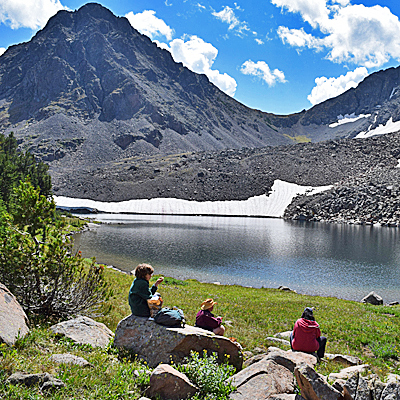 A less intense hike can be taken around the edge of this glacial lake, while some of our fly fishermen choose to take an opportunity to cast their lines in hopes of catching a trout off guard. 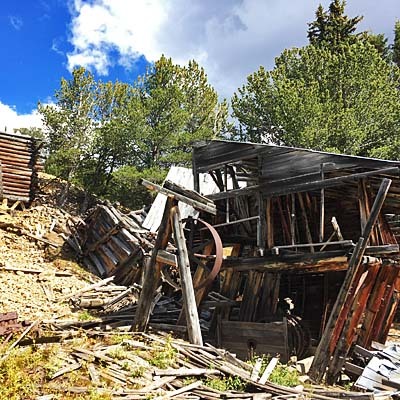 With so much gold mining history from the late 1880’s located in this wilderness area around Blue Lake, hours have been spent exploring the remains of the prospectors’ cabins, looking at old mining equipment, and trying to imagine how these heavy items were brought up into this higher elevation on a very primitive road by horse and mule teams. What a tough and determined bunch of miners they were! 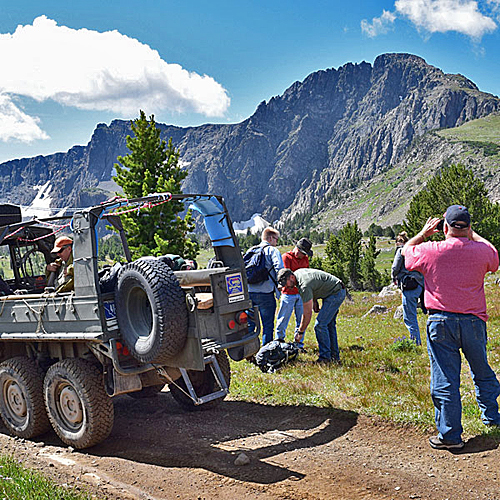 After a full day spent hiking Monument Peak, relaxing by the beautiful glacier lake, doing a little fly fishing, and exploring the mining areas of long ago, it’s time to load up the Pinzgauer for the trip back to the ranch. Lots of memories will be made on this trip with plenty of tales to tell!